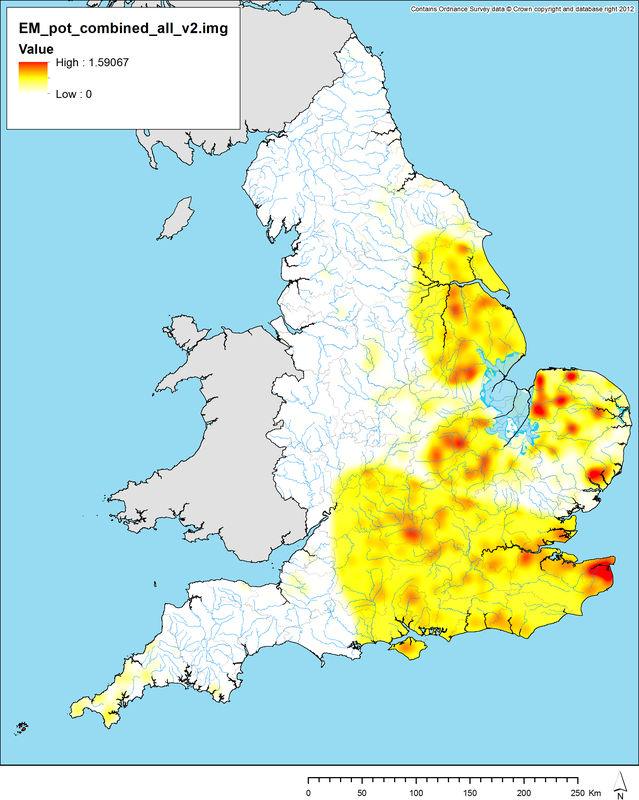 I have recently been pondering the definition of regions, in the sense of carving England (or any country) up into contiguous zones of particular archaeological character. I would suppose that as a method of archaeological enquiry, this probably goes back at least as far as Fox’s division of Britain into “lowland” and “upland” zones along a dividing line running approximately from Dorset to Yorkshire. As a modern practice, I would suggest that recent interest in defining regions probably arises, at least in part, from the influential work of Roberts and Wrathmell (2000). The reason why I have especially been thinking about this subject of late is due to the way in which two projects contemporary to our own have gone about structuring their reporting of their results. Their final report currently in press (Rippon et al. 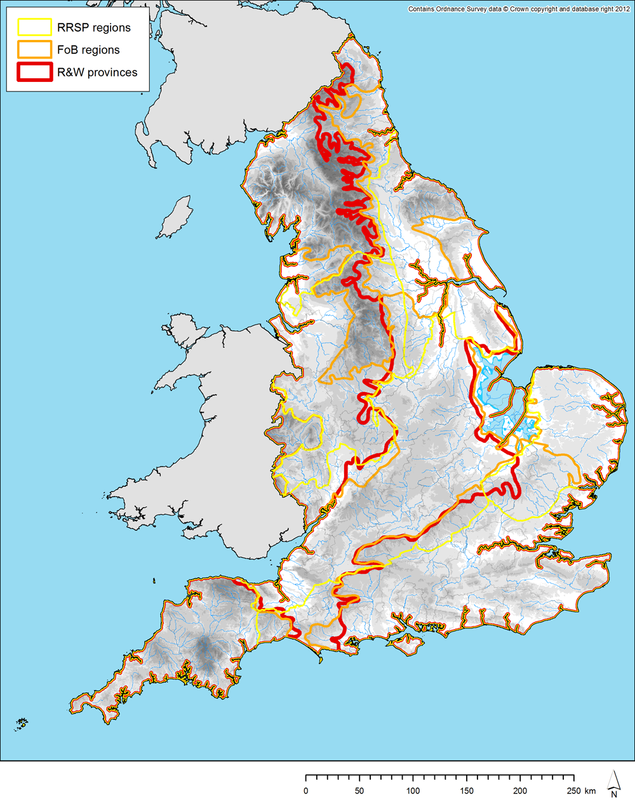 2015), the Fields of Britannia (FoB) project divided the country (in this case being England and Wales) up into a series of regions (made up of groups of bio-geographical “pays”). Similarly, the Roman Rural Settlement Project (RRSP) has also divided the country up into their own set of regions based upon the archaeological character of the excavated evidence found within each. 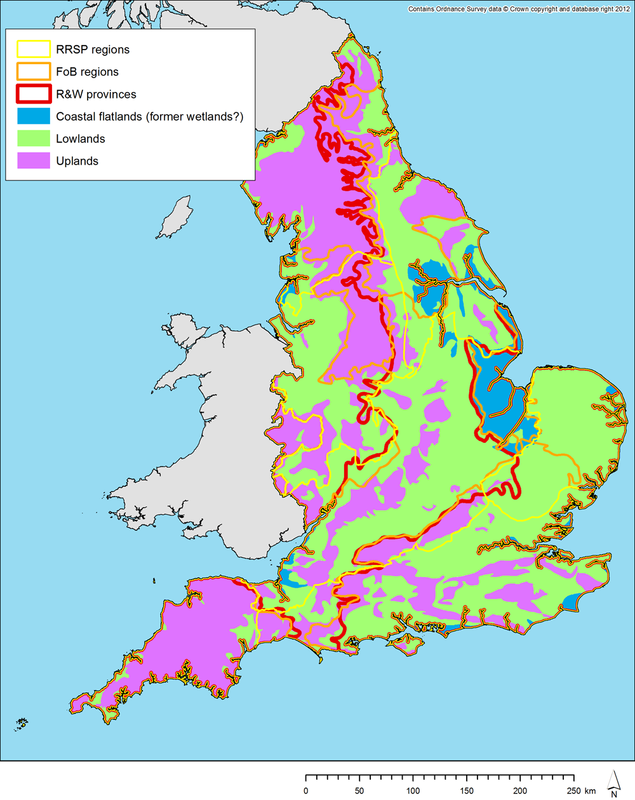 Both of these projects based their regions around conglomerations of Natural England’s “Natural Areas“. If we compare these various regions on a map against the “Settlement Provinces” defined by Roberts and Wrathmell (R&W), we can see that there are broad similarities but also substantial local differences between the various regions (and provinces) defined. Herein lies the major problem with projects defining their own regions for analysis and reporting: it makes cross-comparison between different projects’ results difficult. For example, the Chilterns and the Berkshire Downs both fall within the south east regions of R&W and FoB, but within RRSP’s central zone: as such, can their respective “central” zones truly be compared? The simplest solution to this would be defining regions based upon modern political boundaries or, say, 100x100km grid squares. However, such an approach would result in regions that are archaeologically and bio-geographically irrelevant, which is very far from ideal (and so not recommended here!). More fundamentally perhaps, I am also not convinced that archaeological remains (and thus, by implication, past human culture) truly lacks variety across such continuous areas of space and changes according to such sharp boundaries. I am sure that all of the researchers involved would agree with me on that and there is no doubt that defining regions helps in formulating ideas / arguments and in reporting results. However, I just wonder if there is a better way to structure our space? Some degree of structure is necessary, or all would be chaos and incomprehensible, but could alternative structures be preferrable? 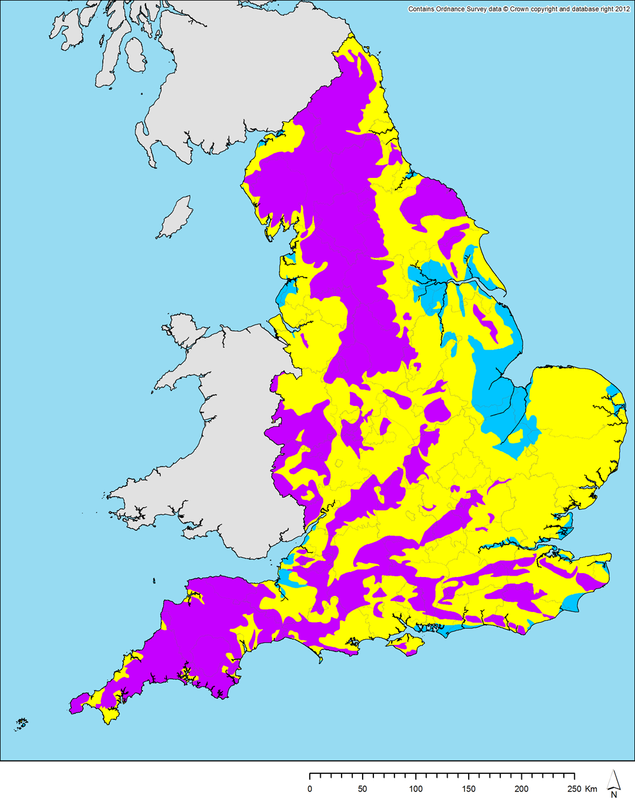 As an experiment, I constructed a regional model for England, but one that did not result in continuous regions, but rather fractured zones spread across the whole country. This model was based upon a mixed classification of elevation and terrain ruggedness and resulted in three new zones: a coastal zone (which largely seems to accord with former wetland areas), a lowland zone, and a highland zone (which seems to capture every important range of hills in England). These zones can exist in pockets within one another: they are not contiguous. Although not (by design at least) archaeologically relevant, these zones certainly have a degree of bio-geographic meaning. Furthermore, they would be reproducible by other scholars, assuming I publicised their construction method. As a Warwickshire man, I am particularly taken with the result that my county almost looks like a “natural” division of the country! If we compare these three “HiLo” zones (named for Oxford’s infamous Jamaican inn) against the regions of the other projects we can again see some similarities between the borders of my zones and those of the other projects, but again with substantial local differences. Obviously, if we were to use my HiLo regions for reporting on our project, we would just end up compounding the problem of difficulty of comparison, but the experiment remains of interest. I then tested each set of regions against a series of other datasets: elevation, terrain ruggedness, broad soil types, soil wetness, etc. The graphs above show just the elevation results, but the broad conclusions were similar for all comparisons. Essentially, the FoB and RRSP regions look far more distinct than the R&W provinces. This is hardly surprising as they are of smaller spatial extent: the smaller a sample area, the more distinct from the general “population”/pattern a variable ought to tend to be. This is clearly the case here. However, the HiLo model sits somewhere in between. It only has three zones, but they appear far more clearly differentiated than the R&W provinces. As such, we can conclude that they have greater geographic differentiation, due to their non-contiguous nature, despite being of similarly large extent. As a final test, I then compared each set of regions against our archaeological data, using our coarsest level of thesaurus categories. 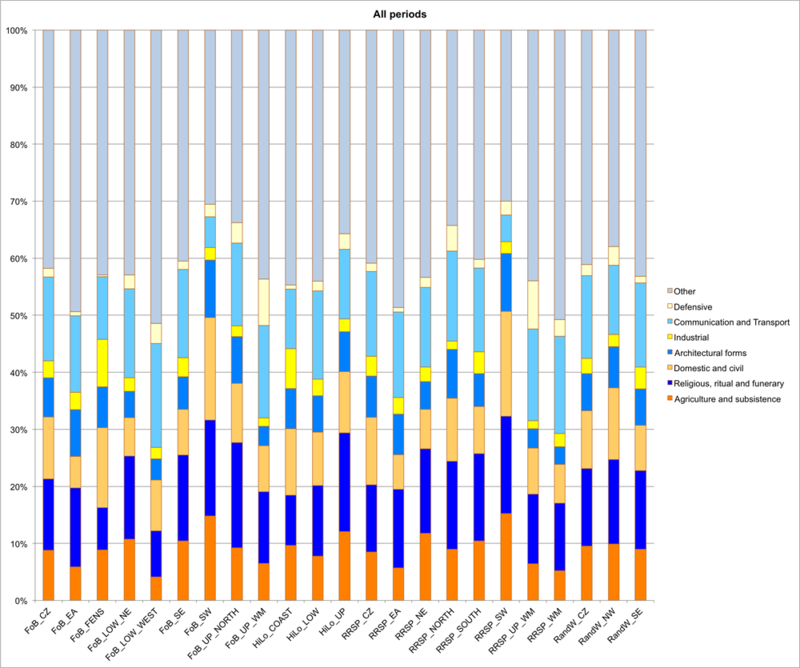 I did this for each broad time period, but the results shown above are for all EngLaID time periods combined (unspecified prehistoric, Bronze Age, Iron Age, Roman, early medieval). 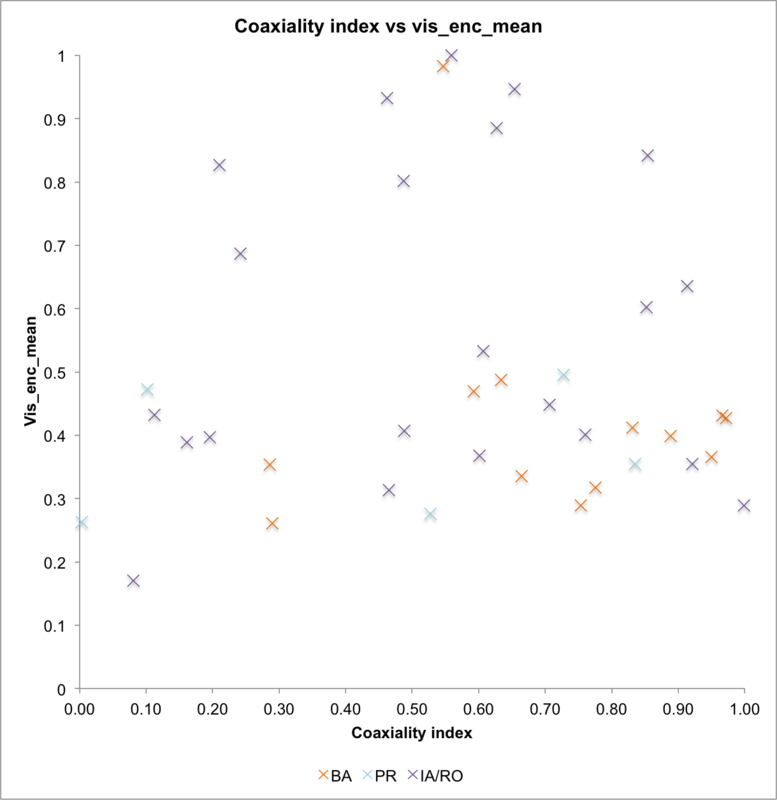 The conclusions, interestingly but perhaps not surprisingly, are very similar to those seen when comparing against the “natural” factors described just above. FoB and RRSP regions look fairly distinct, R&W rather homogeneous (albeit with less dense data in the north west), and HiLo regions are more distinct than R&W but less so than the others. Again, the size of regions remains key (due to the MAUP). Since undertaking these comparative experiments, I have been reading a recent report by Historic England’s Andrew Lowerre (2015). 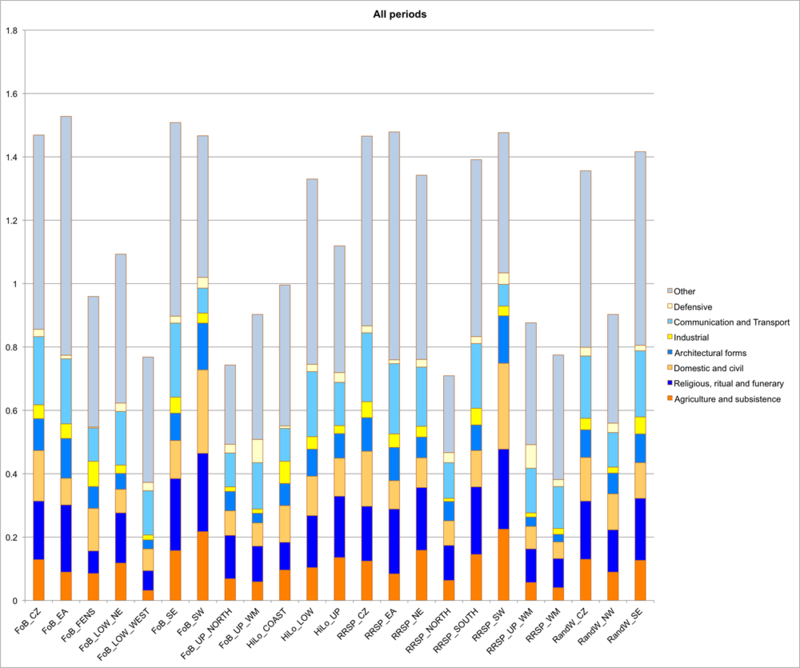 In the second half of the report, Lowerre uses a mixture of environmental variables alongside Roberts and Wrathmell’s data to define regions using automated clustering techniques. The regions that he produced (across a series of different models), much like my HiLo model, are non-contiguous and possess fuzzy borders. As such, to me at least, they seem much more representative of the data than regions defined manually. I wonder if this type of automated region creation is the way forward if we wish to define regions for our analysis and reporting? Regions are undoubtedly a useful and intuitive way to divide up space that makes analysis and reporting of results within the context of a project relatively simple and straightforward, both in terms of how a team thinks about their data and in terms of how an audience may digest the same. However, the cross-comparison issue is distinctly problematic when one begins to think beyond the bounds of the results of a single project. 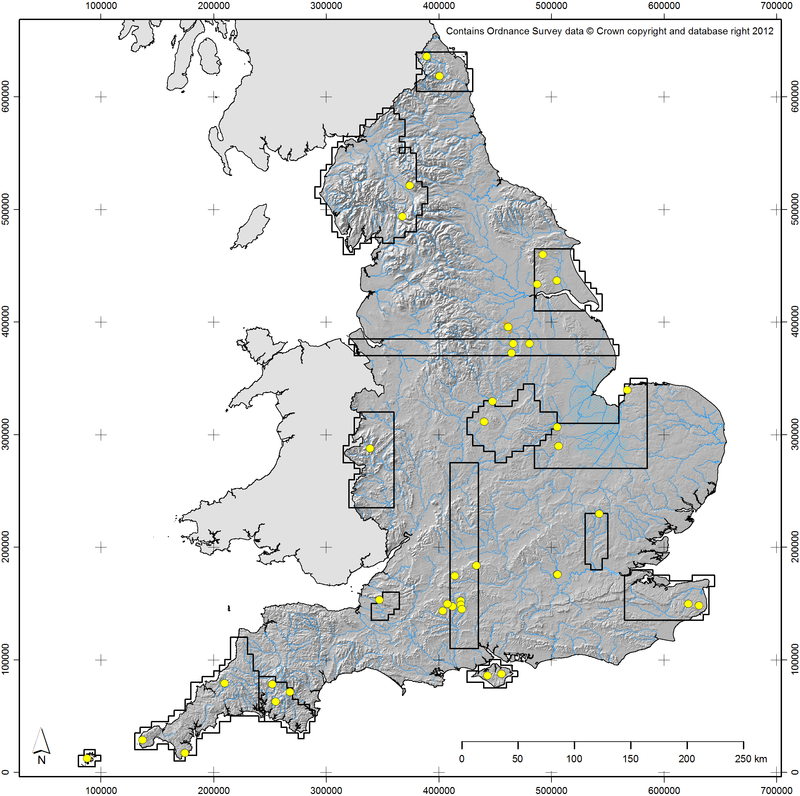 We could potentially define a set of regions based on the natural environment that all projects should attempt to use, but we as archaeologists often seem to be naturally inclined to always do our own thing, so I am not sure that would be fruitful. 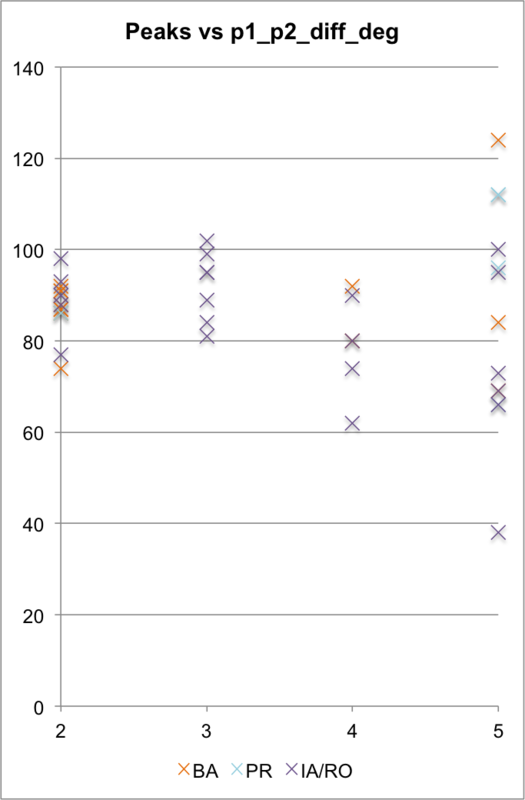 Plus the set of regions defined might not be relevant across multiple time periods. As such, I do wonder if we ought to avoid the idea of archaeological character regions altogether and just talk about variation in data across space. 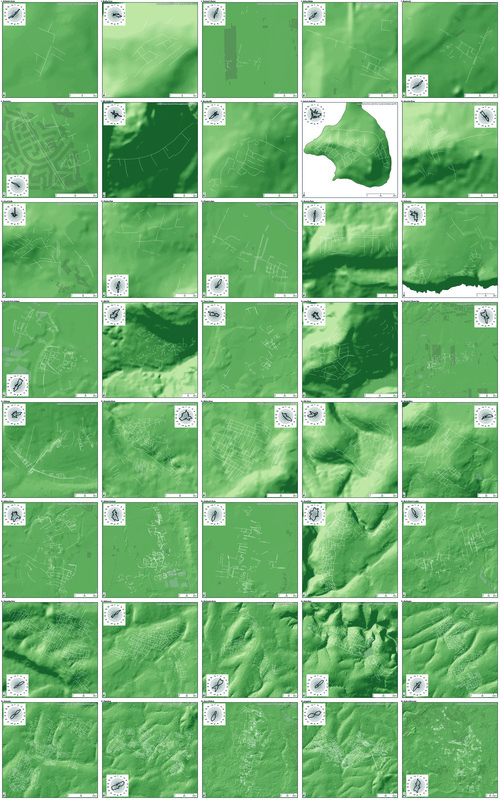 So long as that data is quantifiable and mappable as continuous fields, then cross-comparison becomes simple: map overlay is after all the most obvious application and strength of GIS, with whole suites of tools and methods dedicated to it. This post is not intended as a criticism of the methods of other projects, which have undoubtedly proved fruitful and interesting in each case. I just wanted to express why I feel we (as EngLaID) ought to avoid regions in our reporting, especially as a project looking across traditional period boundaries. Others might disagree, but I do feel the cross-comparison issue of bespoke regions is a thorny problem, particularly for those interested in broad syntheses across time and space. Rippon, S., C. Smart and B. Pears. 2015 (in press). The Fields of Britannia: Continuity and Change in the Late Roman and Early Medieval Landscape. Oxford: Oxford University Press. 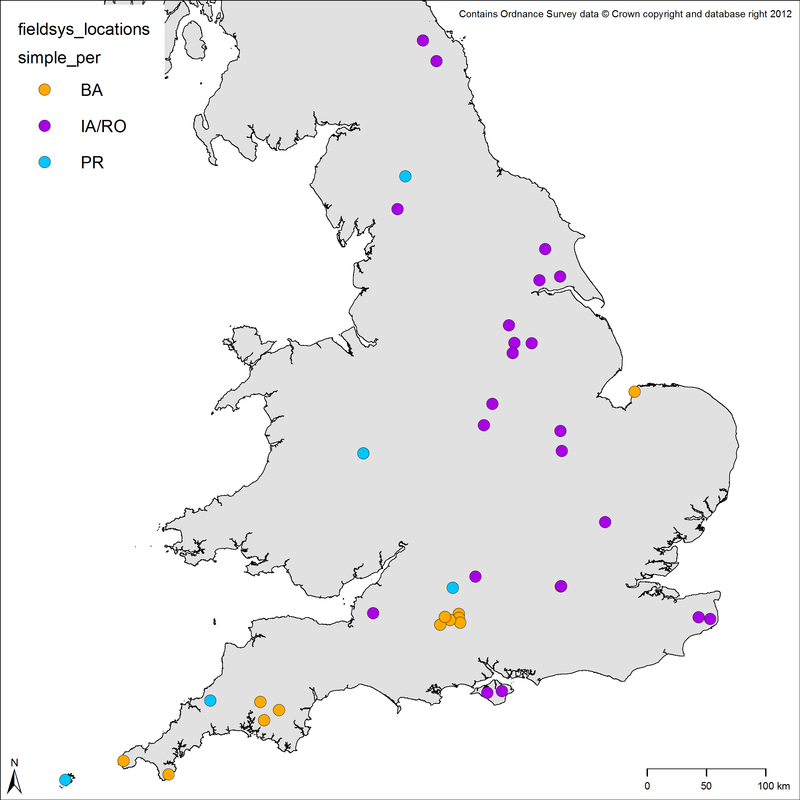 Further to my previous post on mapping broad-brush pottery distributions, I was reasonably content with the maps for prehistory and the Roman period (albeit that they had significant shortcomings in terms of temporal currency), but I was not really satisfied with the amount of data I could find for the early medieval period. One particular shortcoming was the lack of data for the earlier half of the period, for which I had been able to discover very little. Blinkhorn, Myres (labelled Hills) and Vince overlaid. Combined model inc. Martin in addition. Final model also including Wood. The final model is shown above. I also have a couple of maps which split this out into the earlier (C5th-6/7th) and later (C7/8th-9th) parts of the early medieval period, but I feel that the combined model is probably the most robust. Although some of the input data is not perfect due to its age (Myres) or its spatial vagueness (Vince), I feel that is probably the best model we can currently construct for broad brush early medieval pottery presence / absence, at least without putting in substantially more work. Any thoughts or disagreements are more than welcome, however! Martin, Toby F. 2011. Identity and the cruciform brooch in early Anglo-Saxon England: an investigation of style, mortuary context, and use. Unpublished PhD thesis, University of Sheffield. Myres, J.N.L. 1969. Anglo-Saxon pottery and the settlement of England. Oxford: Clarendon Press. Wood, Imogen. 2011. Changing the fabric of life in post-Roman and early medieval Cornwall: an investigation into social change through petrographic analysis. Unpublished PhD thesis: University of Exeter.